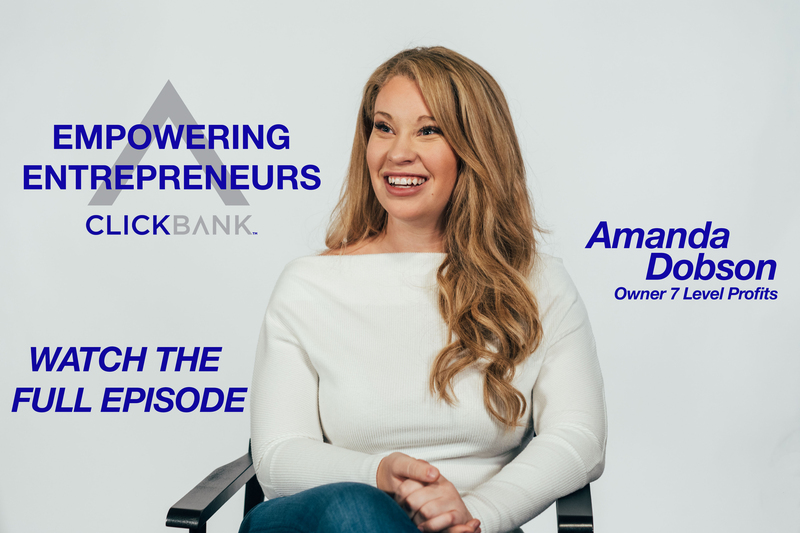 We've got Amanda Dobson speaking to our ClickBank audience in this episode of Empowering Entrepreneurs. Amanda is the Owner of 7 Level Profits, recently spoke at #trafficandconversionsummit and is soon launching her first ClickBank product that teaches digital marketers how to implement SMS strategies into their current marketing plan. 1 - How Amanda got started in affiliate marketing with ClickBank. 2 - The story of why Amanda switched from being a successful attorney to digital marketing. 3 - Find out how she overcame negative career advice in High School. 4 - The reason Amanda is choosing ClickBank for her new sms product. 5 - How Amanda balances being a successful digital entrepreneur and family life. Amanda: I'm Amanda Dobson. For the last couple of years. 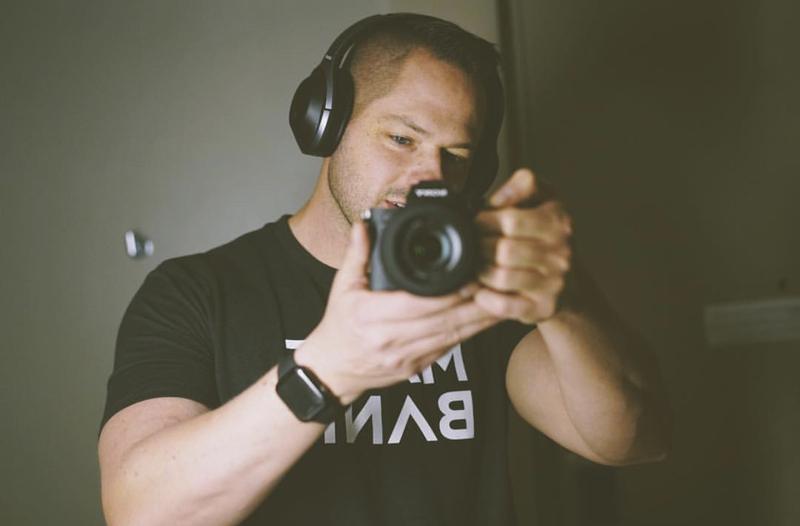 I've run an online marketing agency working with entrepreneurs to launch their offers on ClickBank and some other platforms and helping them achieve their goals by getting their offers and their dreams exposure to the world. Amanda: I had a funny start and fell into marketing in a very strange way. I grew up in a small town where essentially you get married, you have babies, and that's all you ever do with your life. There's not a lot of opportunities. I think there's like three digits in the town population, it's a very small farm town. And growing up I never really pictured myself as a marketer and I never, that wasn't my life plan. I actually wanted to be a lawyer. And that was my life path. And funny enough, when I graduated from high school, I had a professor who had taught me business and marketing throughout high school and he said to me I always kind of imagined that you would marry rich and that would kind of be what you do. I just never imagined you going off to law school and being successful in that way. So I think it's kind of funny now that I run a seven figure marketing agency and he's a high school marketing teacher. So I think that's really funny. I see him around town all the time still. So it's just a boost for me because I know I'm one of the few that made it out of a small town. Amanda: So I like to remind myself that every time I see him is like he told me that this was something that I wasn't able to do or implied that it wasn't something I was going to be able to do. Amanda: So I did actually follow through and I went and studied law and it was kind of whirlwind for me. I decided it wasn't really for me. I didn't like the pressure of that world and having to work 80 hours a week in a top downtown Toronto law firm trying to get by. It wasn't my personality, there was no room for creativity or fun. But what I learned was really valuable to me. So I took that education and I discovered that creating arguments and anticipating objections and telling stories are all these really important components for marketing. I took that education and made something way more out of it and I discovered how much that was actually going to help me years later. Amanda: So what happened is I had two kids and I decided that yeah, this lifestyle wasn't something that I could sustain and I couldn't work that many hours and to be present in my kids' lives and be a good mother to them. So I quit my job. I took literally a minimum wage job and as a customer service representative for one of Clickbank's clients actually. And over time I progressed and became an executive assistant within the company. Now while I was an assistant, I had a task and this is the simplest task that changed my life forever. Amanda: My boss at the time wanted to learn how to write sales copy. So he was reading Gary Halbert and John Carlton and all these really great writers and there came a day where he was like hey, can you photocopy these for me? And I'm standing there at the photocopier and I'm going through all this stuff, reading it while I'm waiting and it turns out it was Gary Halbert's Sales Letters and I absolutely fell in love with it. I was like this is engaging. This is so much fun. I can see the arguments, I can see like the principles of this letter when I'm looking at this and it just stuck with me. Amanda: So I spend months and months and months just studying copy and funnels and offers just because it was interesting to me. Had I not been asked to stand with the photocopier and photocopy those sales letters, I don't think that I would be here, but that was kind of how I fell into marketing. And then I was really lucky. I met Perry Belcher and Ryan Deiss and Roland Frasier. And Perry said to me like who are you? Like I've never met anyone before that thinks like me. Let me take you under my wing and teach you everything that I know about marketing. And from there I went on to build my own agency with my own clients, my own products. Amanda: But had I not had access to ClickBank through the company that I was working for, and had I not had all of those opportunities that had fell into place for me and create in this world for me, which is why I believe in ClickBank. 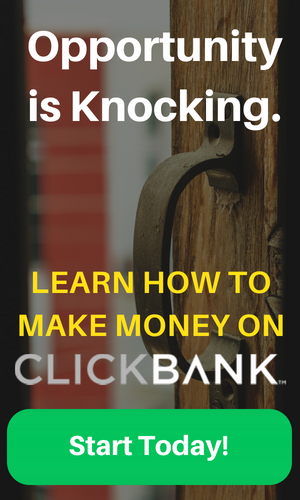 And I think that ClickBank has been a huge part in me being able to build my business and having a successful life because that was my entry point into marketing.